Beauty of the colors of sunrise on a hot morning or sunset on a hot nigth. 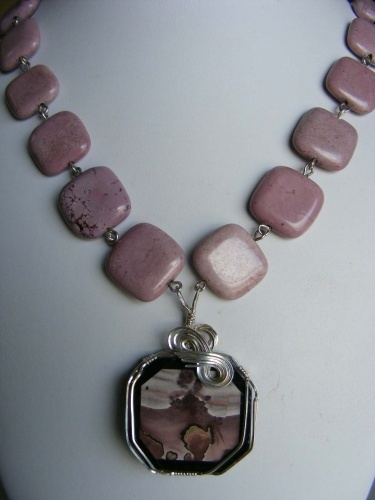 So different is the color of this jasper gemstone its not pink and not purple its just plain pretty. The focal jasper looks like a scenery in a desert framed in black onyx. Sculpted in sterling silver curls, this is truly one of a kind! Has a Bali clasp.